You probably have a whole list of questions about creativity coaching and its benefits for you. Here are the answers to ones that I often get asked. Who is creativity coaching for? Creativity coaching is for artists, writers, singers, dancers, actors, all creative people and entrepreneurs, who are trying to do something creative and different with their lives and talents. Some are successful, some are not. Some do their creative work professionally. Some do it alongside a day job or keeping a family. Don’t I just need more will-power? Sometimes it’s good to work under our own steam and just keep pushing forward. But sometimes we need help. Our culture teaches us that discipline and will-power are primary, but a lack of discipline may come down to confidence or esteem issues, which need professional help to work through. It’s also particularly good for creative people to have outside help, for all too often they struggle on for years, quite alone. The need for help is recognised by top business people and CEOs, as well as sports people. Take a look at athletes in the Olympics. Who would think less of them for having coaches? In fact, we’d say they weren’t taking things seriously if they didn’t have a coach – and they almost certainly wouldn’t get as far as they have. Creativity life coaching takes whatever form suits you best. Usually this is initial email contact, regular 50 minute sessions via Skype or face-to-face sessions in East London, with creative work and tasks and email updates in between. How long will creativity coaching take? We have a first session to make sure we work well together. Then we set up a program to suit you. How long it lasts depends on the nature of your problems or of the creative work you want to do. It’s good to start with a block of six contact sessions, one a week or fortnight, which provides a strong transformational foundation. I’m confused. Will you tell me the answers? If I know the answer to something I’ll tell you. Generally, I’m a sounding board to help you find for yourself the creative answers which are right for you. I also hone in on avoidance, fear and so on, which may be holding you back. Will I have to talk about the past? Life coaching starts with you, here, today and the work you want to do. So when are you available? Drop me a line and we can start right away. 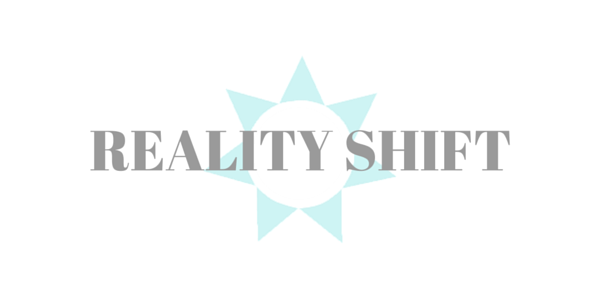 You can call me on 078969 19141 or email me at steve@realityshift.co.uk.